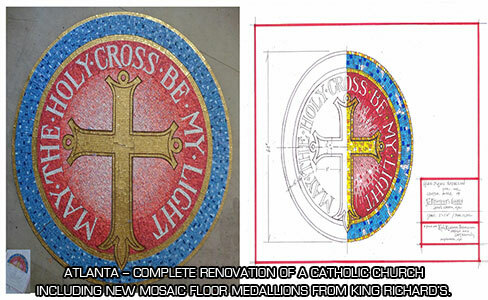 Custom new creations or elegant classic images ... for assistance, call (678) 393-6500. 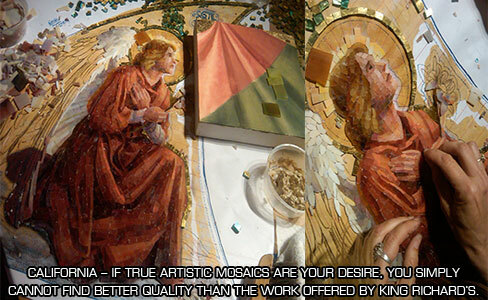 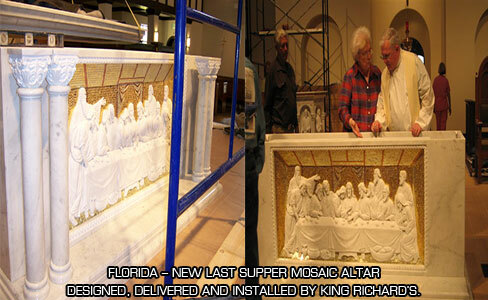 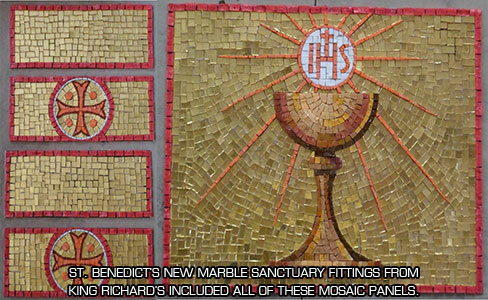 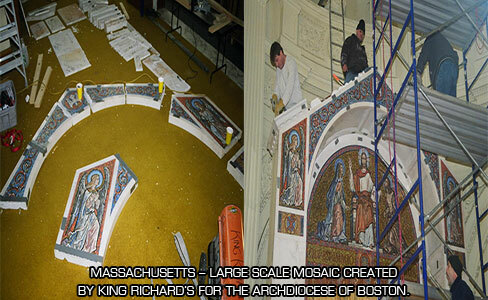 Why King Richard's for your mosaics and murals? 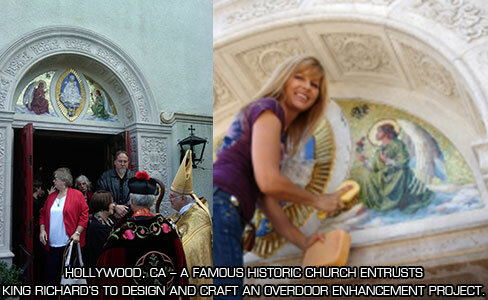 See our design in your church, today! 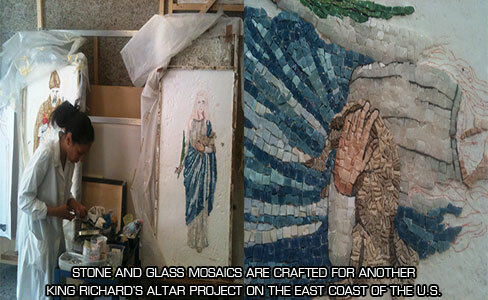 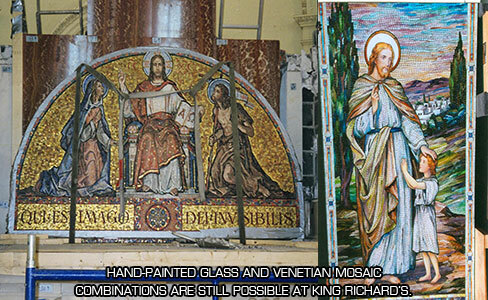 King Richard's offers complete design, drawing, execution and installation of custom murals, paintings, and mosaics. 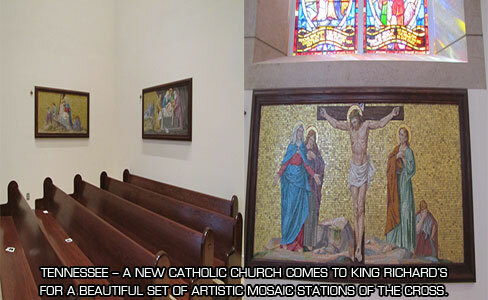 Utilizing our years of experience, we can design and install a complete church's interior to specification. 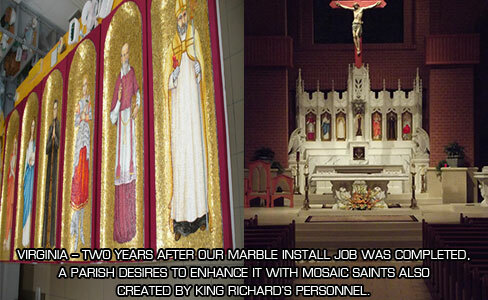 Our painters and decorators are highly skilled artisans and craftsmen dedicated to delivering breathtaking worship environments.